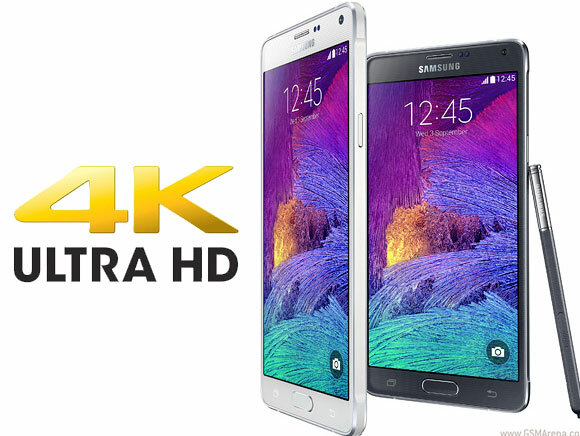 Are you ready to ditch you Galaxy Note 4 phablet? When we’ll be done telling you about the specs of its successor, you’ll want those autumn days to come quicker, so you can get your hands on the upcoming Note 5. Samsung was the first company that dared make a phone that was way larger than everything else on the market. 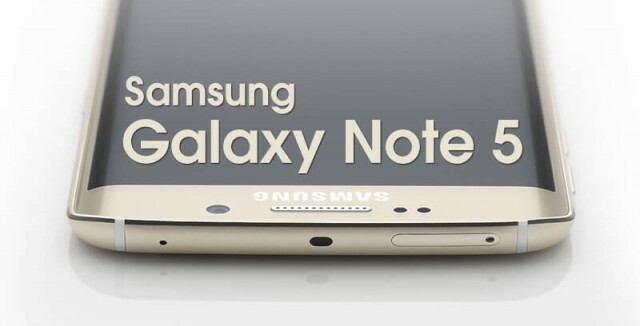 The most popular version was the note 3. The next generation did ok, but it had some flaws, being criticized especially for its bulky design, which didn’t please a lot of the female buyers. What will the Note 5 be like? Of course, a phablet is a phablet and the Note line will stay that way. But if you thought that a 5.7inch display was too big, wait til you’ll see its successor. We won’t spoil the surprise and tell you the size of Note 5’s display right away. The Note 4 came with a faux leather backside, but without the fake stitching on the edges. It’s neither thin nor thick, measuring 5.7 inches, it features a sturdy metallic frame, a fingerprint sensor hidden inside the home screen button and the S Pen stylus can be used to input commands to the Super AMOLED screen that supports a resolution of 1440×2560 pixels with 515ppi. The device received a 32bit Qualcomm Snapdragon 805 processor with four cores clocked at 2.7GHz, coupled with Adreno 420 graphics and 3GB of RAM, but there is also a variant that is powered by Samsung’s Exynos 5433 octa core processor formed by two quad core processors: Cortex-A53 clocked at 1.3GHz and Cortex-A57 clocked at 1.9GHz, which are paired with Mali-T760 graphics and 3GB of RAM. The internal memory has a capacity of 32GB and there’s a microSD card slot for expansion up to 128GB, this means that users have enough space to store their photos and videos captured with the 16MP camera on the back, which has optical image stabilization. Users who like to make video calls and to take selfies can use the 3.7MP camera on the front. Currently, the phone runs on Android v5.0.1 (Lollipop) and the 3220mAh battery lasts around 20 hours when making calls over 3G. Samsung is dominating the Asian market, since it’s a Korean company with a lot of fans. Those who used to have PDA devices took to the Note smartphones pretty quickly, finding them very useful, mostly because their screens are much smaller and they’re not as thick as the personal digital assistants, and they offer a computer-like performance. All four Galaxy Note devices were successful, but at this moment, only the Galaxy S6 and S6 Edge have superior specs and an improved design, which is more stylish, combining glass with matte metal to result a premium appearance. Recently an employee from Samsung’s Korea HQ leaked information about a prototype of the new Note 5, and “G For Games” was the first to report about this. According to the report, the device has an enormous 5.9inches Super AMOLED display, it’s powered by a new Exynos processor and offers two variants of internal memories, with capacities of 64 and 128GB, which, attention!, will support expansion up to 156 GB. As for the battery, it has a capacity of 4,100 mAh, which fits perfectly inside the device which will have a thickness of 7.9mm. Phone Arena added that the Note 5 will feature USB Type–C connectivity and will receive the UFS 2.0 internal storage tech which was added to the Galaxy S6 and S6 Edge. Without a doubt, the Note 5 will be presented at the IFA expo which will take place in September, in Berlin, Germany, then it will be available worldwide, one month later. Regarding the price, if you remember, the Note 4 went on sale for 980 dollars and we’re assuming that the successor will cost no more than 1050 dollars. GForGames also mentioned something about a dual-Edge display like on the Galaxy S6 Edge and this information was backed by Value Walk, which cited an interview with Roh Tae-moon, a member of Samsung’s product strategy team. There is a report according to which the Note 5 will feature a flat display sized at 5.89inches, which will support 748ppi and 4K resolution (Samsung wants to be the first company to create a 4K smartphone), while the Note Edge variant (reportedly codenamed Project Zen) will have a 5.78inches screen supporting 762ppi. The successor of the Note Edge is rumored to have inferior specs, the specs that are in circulation over the internet are pointing to a hexa-core Snapdragon 808 processor which will support an internal memory of 16GB and the cameras will be 16MP with OIS on the back and 8MP on the front. Samsung doesn’t want to equip its Note 5 phablet with a Snapdragon 810 because the company invested billions to develop its own chip, but Qualcomm will create an 820 chipset which won’t have heating issues and instead, it will return to custom cores, which are known as KRYO and are built using a 14nm FinFET process. With this chip, Qualcomm will try to regain Samsung’s attention.